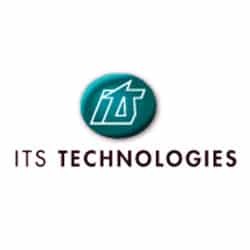 ITS Technologies is one of the Midwest’s largest specialized staffing agencies in the US and it represents some of the most respected names in the industry. Daxtra: What was life like before using Daxtra Capture? Jeff Frantz: Our recruiters were terrible at getting resumes into our applicant tracking system. They simply would not take the time to import resumes which meant candidates were not in our database and not findable by our users. So, we had two administrative employees whose responsibility was to import resumes. It was a cumbersome job and there were often errors, and they would fall behind in keeping up with the volume of candidate resumes. Sometimes, it would be two weeks from the time a recruiter sent a resume for importing until it was in our ATS due to backlog. Daxtra: Why did you choose DaXtra for that purpose? J.F. : Quite simply, there was no parsing technology like Daxtra had. We had reviewed many other products and were never impressed at information extraction. In fact, I didn’t believe the first demo from Daxtra so I found the worst resumes I could to run them through the parsing engine to see if they could be parsed. Every resume I submitted was extracted with 100% accuracy. I was quite stunned, really. The information Daxtra’s technology was able to extract from resumes would take a person 10-15 minutes. Daxtra: What are the results after using DaXtra Capture? J.F. : Resume importing went from being a chore to completely automated. Resumes are available in our ATS within minutes rather than days or weeks. Our Daxtra Capture system has parsed and imported hundreds of thousands of resumes. Getting candidates into our database is no longer an issue. Daxtra’s technology is also outstanding at identifying duplicate records and thus preventing duplicates in the ATS. Daxtra: How does DaXtra solution integrate with your business model? J.F. : Our Daxtra Capture implementation is hands-off for the users. Any emailed resumes the user receives are automatically copied to the DaXtraCapture system and automatically parsed and imported. The user also has a shared folder where they can simply drag and drop or save resume files to for easy parsing and importing. Daxtra has allowed us to focus on filling our customer’s jobs. Daxtra: Would you recommend DaXtra to other recruitment companies? J.F. : Absolutely, and I do recommend DaXtra whenever I have the opportunity. There simply is nothing better at context-sensitive parsing. The ROI on Daxtra’s products is short. Capture had recovered our investment within a few months. Save yourself time, money and headaches with Daxtra. Learn more about our solutions to improve your recruiting management software, CV management software and application tracking software.